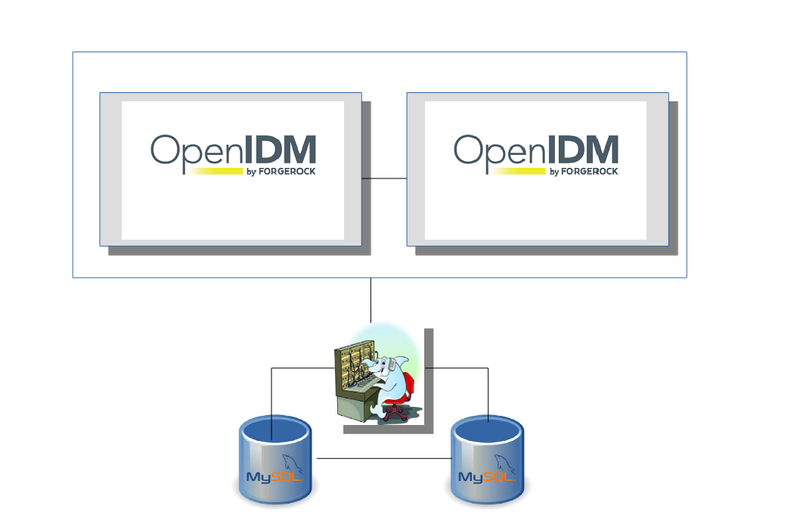 Whether having two openidm instances in a non-clustered configuration, connecting to the same database, is supported by Forgerock? All the same, I am curious to know what you are thinking of a non-clustered environment.. Thank you very much for the prompt response. Much appreciated. I am trying to setup two Forgerock environments. Env1 (Server1) and Env2 (Server2). I want to use same database MySQL for both the forgerock environments. Is is allowed as per forgerock product? (i) You run the mysql command once with a SQL script bundled with the product that creates a database by the name ‘openidm’ with all required OpenIDM tables as well as a user by the ‘openidm’ with required privileges. (ii) You configure a json file that has the details of database to connect to (localhost by default, port 3306 by default, ‘openidm’ database name by default). Now if you plan to use the same instance of MySQL for two separate OpenIDM instances, you’ll have to use different database names for each of the instances (meaning, you’ll need to modify both the SQL script and the Connection configuration file). Frankly, if you are familiar with MySQL installation and configuration, it’d be rather easy to have two MySQL instances (listening on two separate ports of the same machine) and have each one point to each of your OpenIDM environment. Thank you very much for the clarification provided. That answered my question. Much appreciated for the help.